SHIP is a knowledge sharing and problem solving platform and network established by professionals in research, innovation, farm advisory services and policy development, during the Expert Consultation in September 2018 in Hungary, supported by the Food and Agriculture Organisation (FAO) in Europe and Central Asia. he objective of SHIP is not only to disseminate information, including own database, publications, videos, blog posts, presentations about good - proven and promising - innovation examples which can provide solution for specific problems and needs for the smallholder and family farm in a one-directional way in the region of Europe and Central Asia, but also to reach out and take the hand of the farmer, raise awareness about the opportunity and possible benefit, assist in the identification and categorisation of the problem, submit the issue from the field to the platform to enable topic expert match and feedback the potentail solution to the level of practice. The platform is hosted by the Wearenet NGO and professionally supported by the AgroWebCEE community, having now decades of experience and expertise in agricultural information management. Therefore the SHIP naturally attracts a lot of new ideas and innovative projects in the area of digital farming and e-agriculture, a kind of new technology generally concerned as a challenge to make accessible and feasible for the situation of smallholders and family farmers. Smallholders in rural areas and industries, especially in agriculture, landscape management, small scale processing and various other rural service industries, lag behind in terms of adoption of innovation, compared to the larger and more commercial enterprises, despite smallholders - by far -constitute to the majority of businesses living and working in the countryside in most of the countries of the Region. Their low readiness for innovation is due to several aspects such as the lack of awareness, motivation, knowledge and skills; issues related to mentality, attitude, tradition, culture, age and other social characters; as well as technological and economic obstacles (size, costs, return on investment, market access, etc). During the 31st session of the FAO Regional Conference for Europe (May 2018), the FAO member countries encouraged FAO to continue its efforts on knowledge sharing on policies and good practices, in particular with focus on smallholders and provide a neutral regional platform on innovation examples. The meeting "Regional Expert Consultation on Knowledge Sharing For Agricultural Innovations Applicable For Smallholders" was organized between 10-13 September 2018 in Godollo, Hungary by FAO, WeAreNet and GAK St Istvan University, participated by specialists from EIP-AGRI (EU Commission) and from 26 nations to follow up with the regional conference, and proposed the setting up of a network and platforms which is to collect good examples on innovations for smallholders. pairing and connecting problems with innovations for the solution (match-making approach). 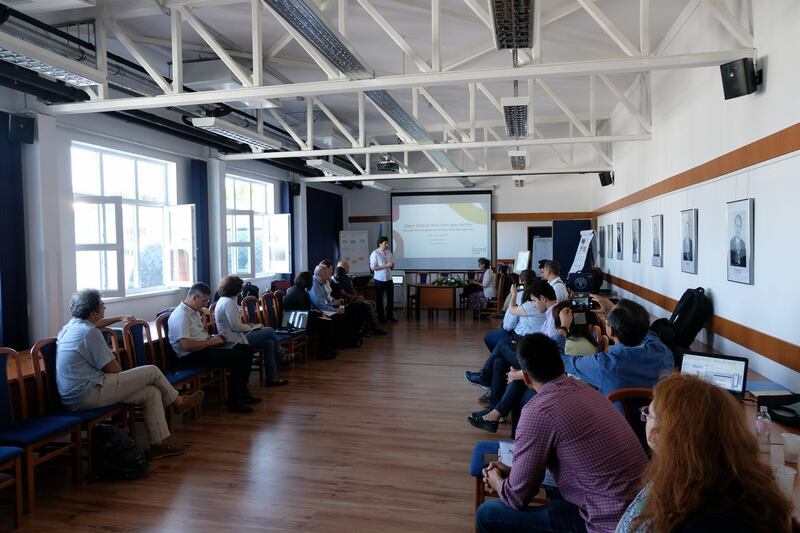 During the regional consultation in Godollo, experts discussed about networks and platforms in the region which aim to improve smallholder performance and livelihood by disseminating information about new methods, good practices and examples of innovation. It was a common observation that while there is a lot of information available about new technologies and knowledge provided by actors in the private and public sector, the needs and absorption circumstances of the end-user side is much less explored, having no clear picture about the actual problems smallholders face during their daily work and life, and how these relate to the offered innovations. 4) validate if the solution is accepted. a platform to receive submissions, collect, evaluate and publish data from both the practitioner (smallholder) and the provider side, pair the matches, channel back the results, keep track of the process status and support any other communication flows. We expect that stakeholders recognizing the benefits of the concept will provide own funds for the operational costs, besides the possibility of accessing grants from donor organizations.